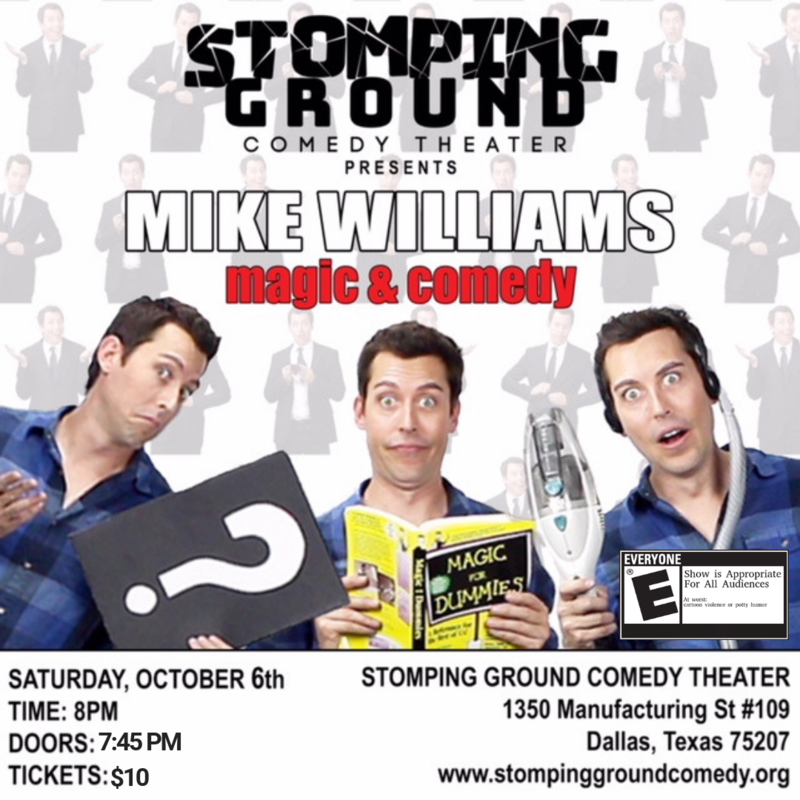 For a special one-night engagement at Stomping Ground, Mike Williams presents an hour of magic and comedy for audiences of all ages. Two time “Magician of the Year” Mike Williams has performed magic for over 20 years and has thrilled audiences all over the world- Hollywood to New York, India to Australia, and television and commercials. He blends state-of-the-art magic, quirky comedy, and audience interaction for a one-of-a-kind live performance.